High frame rate breaks the underwater sections causing the character to drown too quickly. SecuROM 4 DRM. German copies use SafeDisc v3 DRM[Note 1]. Languages vary between services but content is otherwise identical (Gold Edition, Gold Edition 2012, etc. are just branding). Apply the Enclave intro skip. Change parameters XR_PORTALTEXTURESIZE and XR_SHADOWDECALTEXTURESIZE to maximum value 2048. Values higher than 2048 are decrease to 2048 after game start. 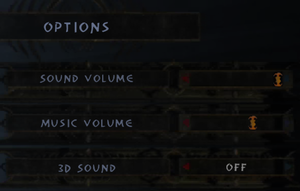 options.cfg contains general and input settings. Config.mpp contains other input settings. Has some side effects. Animations don't function properly, and the character can drown too quickly in underwater sections. 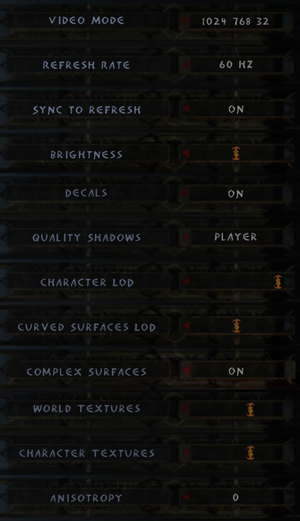 Use the Enclave Xpadder Profile. Open Config.mpp with a text editor. Open Options.cfg and modify or add the line CONFIG=Config.mpp. There may be issues with certain controllers (e.g. Triggers and the DPad on an Xbox 360 Controller will not function as individual buttons, and the controller will not work for navigating the game menus). All speech and cutscenes including speech outside of conversations. GOG and Retail versions only. On Windows 8 the game may ignore resolution choices, always running in windowed mode. Windows 7 compatibility mode fixes this. 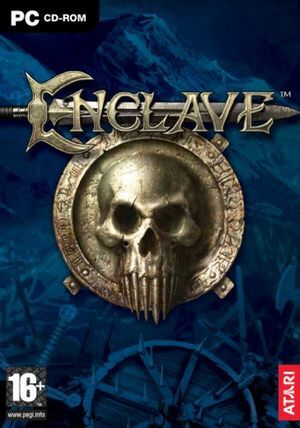 Right-click the game's shortcut (or Enclave.exe) and choose Properties. On the Compatibility tab, choose Run this program in compatibility mode for. Choose Windows 7 from the list. Click OK to apply your changes. The game will now run in fullscreen mode correctly. The desktop may be briefly shown when launching the game but it will go to fullscreen afterwards. Setting the mouse polling rate to 125hz may alleviate various issues with mouse movement affecting gameplay. If your mouse does not have adjustable polling rate and you still experience problems, using a different/older mouse may work. 3 Can be set in <path-to-game>\environment.cfg but is not recommended by the developer.